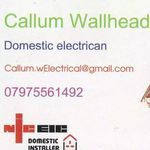 Industrial, Commercial and Domestic electrical services. We are two professionally qualified female Carpenters & Plasterers also providing decorating and handy woman services. General building works and property maintenance undertaken. For flue liners, stoves and all accessories.